Nick, the older brother of lightweight absentee Nate Diaz, has amassed a pretty strong following over the past decade or so. The Californian knocked out former welterweight champion Robbie Lawler at UFC 47 and was involved in numerous controversies, such as his infamous brawl with Joe Riggs. Having fought for the UFC in his first stint between 2003 and 2006, Diaz then moved to Japan. In 2007, Diaz earned considerable attention when he submitted MMA legend Takanori Gomi following an immense brawl at PRIDE 33. 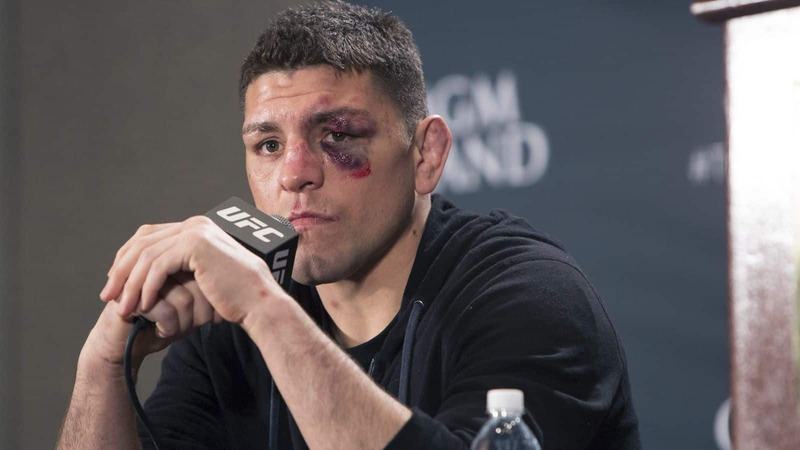 The fight was declared a No Contest shortly after, however, as Diaz was popped for having marijuana metabolites in his system. Diaz would then go on to become the Strikeforce welterweight champion in 2010, before moving over to the UFC for the second time. Diaz’s second stint in the UFC came in 2011, where he outstruck Hawaiian legend B.J. Penn at UFC 137. His next two fights did not go according to plan, as he lost to Carlos Condit and Georges St-Pierre. Although he remains a cult figure among MMA fans, most had given up on the prospect of seeing him come back to the world’s foremost MMA promotion. With some suggesting he would be better heading to the UFC’s main rivals, Bellator, this news will certainly be well received. Diaz’s last bout against Anderson Silva at UFC 183 was judged to be a unanimous decision for the former middleweight champ before news broke of “The Spider” testing positive for steroids. Diaz tested positive for marijuana metabolites and received a reduced suspension of 18 months and $100,000 fine, following an initial five-year ban which sent shockwaves throughout the MMA community. Should Diaz return to the UFC, it is expected that younger brother Nate would follow suit. The likely scenario for the promotion would be to seek a main event card featuring both Nick and Nate. 2018 may be interesting for fans of the no-nonsense, Cesar Gracie jiu-jitsu brothers. One UFC legend’s returned may be scuppered by some pretty significant barriers. Chuck Liddell, who has long been linked to a trilogy bout against another UFC legend Tito Ortiz under the Bellator banner, may be restricted by his contractual status with the Las Vegas-based promotion. “My understanding is that Chuck is still under contract with the UFC. I’m not sure. I just thought that to be true. I don’t know the details, but when he retired, I think the contract freezes and they maintain some rights,” Coker said. “Listen, is it a fight that would be fun to watch? I think if they both pass a physical and Tito was healthy and his neck was healthy and he was able to perform at a high level, and they were fighting, to me is it interesting? I would definitely watch it. But would we promote it? I don’t think we can because Chuck is still under contract with the UFC.